Uksuillerni uitarraarluteng cam wa December aam wa iluani maani ayagnillrani taugaam kacetetullrulriit uksillernun. 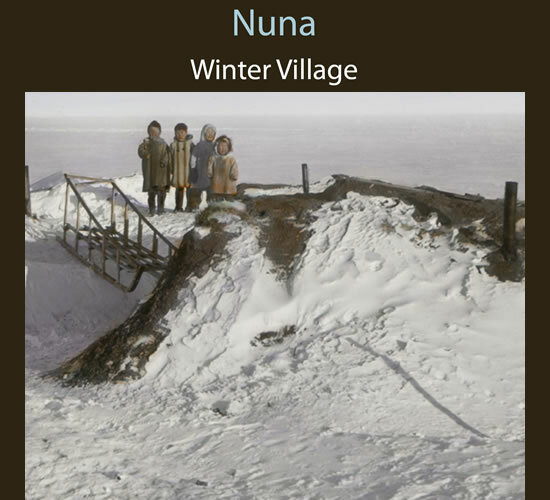 After staying in fall camps, they gathered in the winter villages in the beginning of December. Families gathered together in winter villages following the busy harvest season. As days grew short and snow covered the land, men and women settled down to enjoy the fruits of their labors. Making and mending clothing and tools continued in the homes and qasgit as the time for feasting and celebration drew near.